When hoverboards started exploding a few years back, most saw it as a disaster for a product that had gone viral and become a new trend. Hoverboards were so popular in 2015 that it led to sales of about a billion dollars during the year. The U.S. Consumer Product Safety Commission (CPSC) had to recall 501,000 hoverboard units because of fire outbreaks and general safety issues. Even sales giants like Amazon and Target suspended the sales of hoverboards. It was the time when everybody was encouraged to stay away from hoverboards. Well, hoverboards have overcome their rough patch and are now back and better. Back without the fear of overcharging the battery or overheating of the battery. Hoverboards now go through UL 2272 certification to ensure the battery, charger, and other components are in good condition and safe to use for their potential customers. Hoverboards are a great means of moving around, especially if you’re going to a short distance. It is faster than walking, more energy saving and a fun way to run an errand. Now, what if you can move around on your hoverboard while playing great music through Bluetooth? That would be called party on the wheels! What if you can do that at a cheap price? I’d say that’s something you should consider. In this post, I’m going to be talking about top 5 cheap hoverboards you can get today. And you can enjoy your favorite songs as you ride on these hoverboards. Swagtron T580 comes with a smart self-balancing wheel that gives any user a comfortable ride. Swagtron T580 has an app available for both iPhones and Android devices. Through the app, you can change modes, access map function, check batteries and play music during rides. It has both learning mode and standard mode. The learning mode means it can learn your usage patterns to give you the best ride. Swagtron takes safety important and T580 has gone through many tests to attain the UL 2272 certification. What is even more impressive is that it comes in an incombustible casing. Its SentryShield technology and Smart Battery management also help for multi-layered protection. Swagtron T580 weighs 20 lbs (9 kg) which is light especially when you have to carry your hoverboard from one place to another. It can carry riders who weigh as low as 44 lbs and as high as 220lbs. If you have to use Swagtron in a hurry, you can charge the device between 90 and 100 minutes which is relatively fast for a hoverboard. With this single charge, you can ride on the Swagtron T580 for 8 miles. It can accelerate to a maximum speed of 7.5mph and climb inclines of up to 30 degrees. Swagtron T580 comes at a price of $199.99. Hovertrax claims it’s the world’s smartest self-balancing electric scooter. With its EverBalance technology, Hovertrax 2.0 auto-levels for a safer, easier mount and a smoother ride. Razor Hovertrax 2.0 is UL 2272 certified, ensuring that it meets the industry’s highest electrical safety standard. You have no fear of fire from the Hovertrax 2.0 while using it. With its 350-watt motors, you can enjoy a ride for 60 minutes on Hovertrax 2.0. You can reach a speed of up to 8 mph while riding on it. Hovertrax 2.0 weighs 19 lbs which is light to carry. It can support a weight of up to 220 lbs (100kg). This means it can be used by anybody within the age range of 8 and 60. Hovertrax 2.0 has cool-blue LED light bar display which allows for easy use in the dark. It also has LED battery power indicator to show the power level. It has fender bumper protection and two riding modes for training and normal use. Hovertrax 2.0 is made from a shatter-resistant polymer frame and has an anti-slip rubber foot platform for better grip. All these make sure you have a smooth ride on the Hovertrax 2.0. Hovertrax 2.0 goes for a price of $299.99. With 6.5-inch tires, Spadger is suitable for children. But this wheel size also means it can ride better on a smooth road. On a rough terrain, it will have issues due to the small wheels. It is UL 2272 certified which means it is safe for use without a risk of explosion or overheating. Spadger can be used by most adults conveniently as it can carry a maximum load of 120 kg (264 lbs). With a weight of 10.47kg, it is easy to carry even for children. Spadger has a 4400mAh battery which can be charged for 1 or 2 hours. You don’t need to wait for too long before you ride on your hoverboard. It is equipped with a LED light that is useful for riding in the night. Spadger can move at a reasonable speed of 12 kmph(7mph). It can last over an hour and you can travel 12 miles on a single charge. And you can enjoy music while going on this ride through the Bluetooth speaker. Spadger goes for a price of $199.99. Skque is a safe scooter with UL 2272 certification. With its 8-inch wheel, it is capable of moving on different terrains. It is self-balancing which makes your ride on it easier. It possesses a bright LED lights which makes your ride in the night as easy as it comes. It has a 1-year limited warranty. At 30 lbs, it is a bit on the heavy side and may be too heavy for a child. It can carry a maximum load of 120 kg (264 lbs) and move at a maximum speed of 12kmph (7.5mph). With its 42,000mAh battery, Skque X1/l can travel a distance of 20km which is high when compared to other hoverboards. And you don’t have to wait forever to charge it either as you can do that within 1-2 hours. Skque X1/l goes for a price of $399.99. SagaPlay F1 is a waterproof hoverboard that moves on a 6.5-inch wheel. It has gyroscope sensors to give you a better balance as you ride on it. It uses LG smart batteries that charges in about 2 hours. It also has LED battery indicators which displays the charging status. SagaPlay F1 weighs 10 kg (22lbs) which makes it easy to carry from one location to another. It can carry a maximum load of 100 kg (220lbs) and it can move this load at 10 mph which is fast. It has dual motors with a rating of 250W to power the hoverboard. The SagaPlay F1 has strong tires which are good for all terrains. It has undergone many tests successfully to attain the UL 2272 certification. You can use the SagaPlay F1 with confidence on the safety. Even if you’re riding in the dark, SagaPlay F1 has LED lights to make your ride a wonderful one. With non-slip foot pedals, there is a low probability of falling off when you ride on this hoverboard. There is also a one-year warranty for US-based customers. SagaPlay F1 goes for a price of $299.99. Buying a hoverboard is another way to enjoy a stress-free ride in your immediate environment. With a large number of hoverboards today, it can be a difficult task to pick one. One thing you will not have to bother much about these days is safety as there is now a safety standard (UL 2272) that every hoverboard must follow. 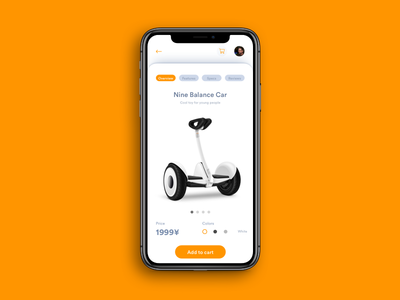 However, you still have many factors like price, size of the wheels, maximum speed, maximum distance it can cover, maximum load it can carry, and whether you can enjoy music on your hoverboard while you coast along the street. Of course, there are more factors to consider but this post has shown you relatively cheap hoverboards that also allow you to enjoy music through the Bluetooth functionality.